Reading with your kids isn’t just about telling them stories. It teaches them valuable lessons and stimulates important conversations, all while bonding. 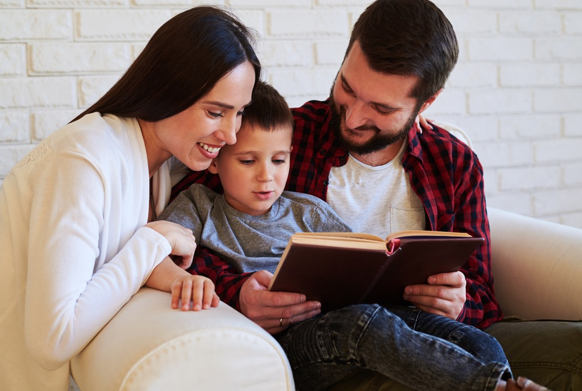 In fact, many adults bond by reading fiction to one another, and for kids, these are some of their first bonding experiences! 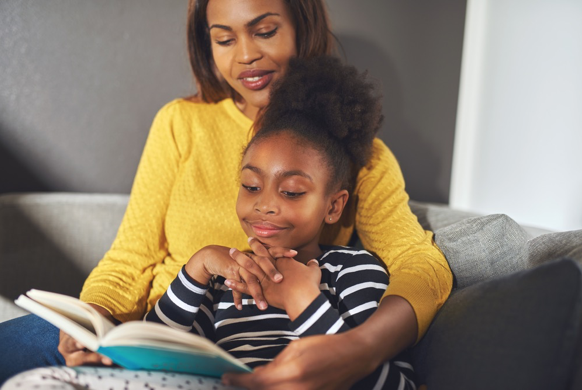 Older children can benefit from being read to because then parent and child can discuss the action in the story and what their opinions of it are. This can be very empowering, especially if the parent listens, and it encourages critical thinking skills. Younger children benefit from learning the letters and words, and many books for younger readers give subtle treatment to kid issues, such as picky eating (Green Eggs and Ham) or dealing with negative events (Alexander and the Terrible, Horrible, No Good, Very Bad Day). Most importantly, reading to or with your kids encourages them to read on their own. Aside from the huge amounts of fun they can have in their own imaginations from reading, it gives them the chance to practice a skill they will need all their lives. The poetry of Where the Sidewalk Ends and A Light in the Attic are staples of childhood. The poems range from goofy to through-provoking, all to the delight of children everywhere. Songs have been made using the words of these timeless classics. Shel Silverstein poems have been read to kids for generations, so sharing them with your children is like sharing an echo that travels through generations. Will you read it with your kid? Odds are when you were young, you did! Are lots of fun, all the time! There’s silliness for the whole fam! For an entire generation, Harry’s adventures at Hogwart’s School of Witchcraft and Wizardry defined their childhood. The series gives a very mature treatment to complex issues that face kids today, such as facing sudden death and having the courage to stand up to your friends when you think they are wrong. There is a lot of valuable guidance from these books! Younger readers just love Clifford, the Big Red Dog. His adventures with his friends and his human companion Emily Elizabeth are what helped launch the Scholastic publishing company. The popularity of these canine characters has enabled 80 books, two television series, and countless video games for young readers. Life is miserable for the protagonist of a Roald Dahl story, yet they always overcome. From the titular Matilda to Willy Wonka’s protogé Charlie, Dahl’s novels always seem to be about underdogs rising above using creativity and wit. Some of them experience some pretty dismal circumstances, but all of them have found their way into popular culture, whether directly, or echoed in J.K. Rowling’s work. Nothing is cooler than going on your very own adventure. So nothing is more cool to a child than their very own adventure with characters they already know and love! Many publishers offer personalized books, which engage your child in the plot by including them in a critical role in the story. Perhaps they are the hero, and the story hinges on their interactions with other characters. For example, imagine your child going on an adventure with Belle and the Beast, or with Lightning McQueen! A book like that can keep your child excited about reading, and better yet turns into a wonderful keepsake when they’re grown. There are some wonderful books out there that are not part of a series, or stand alone from the rest of the series. Just because they are not part of a series doesn’t mean they don’t deserve their fair mention, so here are some of the best ones! Some of them are older books, which means you may have had them read to you at the same age, deepening the bonding experience of reading together. Goodnight Moon is a classic, but also check out its update, Goodnight iPad. A Wrinkle in Time is the first in a series, but the rest of it is for slightly older readers. This installment stands alone and one of the heroes is a young boy. Madeline is a French classic beloved for generations. The Secret Garden is an oldie but goodie about a young girl and her bond with a disabled boy. Chicka Chicka Boom Boom is a popular one that has catchy rhymes to teach young children the alphabet. There are so many great books out there to read with your child that it would take a whole other book just to name them all and list what makes them so good. 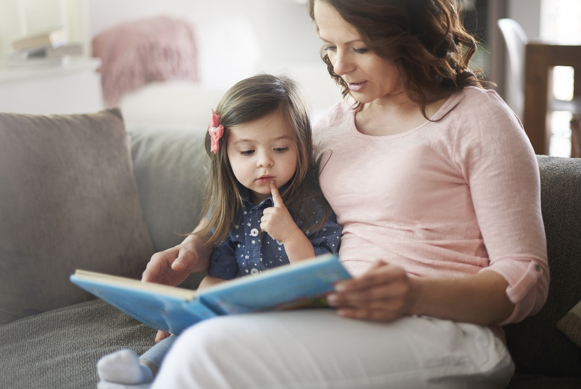 Spending time reading with your child is both a teaching experience and a bonding one. Make it fun, too, by choosing books they will enjoy and want to participate in! Hillary Smith loves technology and hasn’t met an app that didn’t catch her attention. 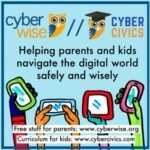 After graduating from the Northwestern Medill School of Journalism, Hillary began a career as a freelance writer focusing on the challenges of digital parenting. She works out every day and spends time with her children, ages 4 and 7.